So I'm working on a graffiti project and decided to try and create my first layered stencil (2 layers, third optional). I decided to use grumpy cat. :) I love him! This is the final result, although it's a rushed test so it's not the greatest. 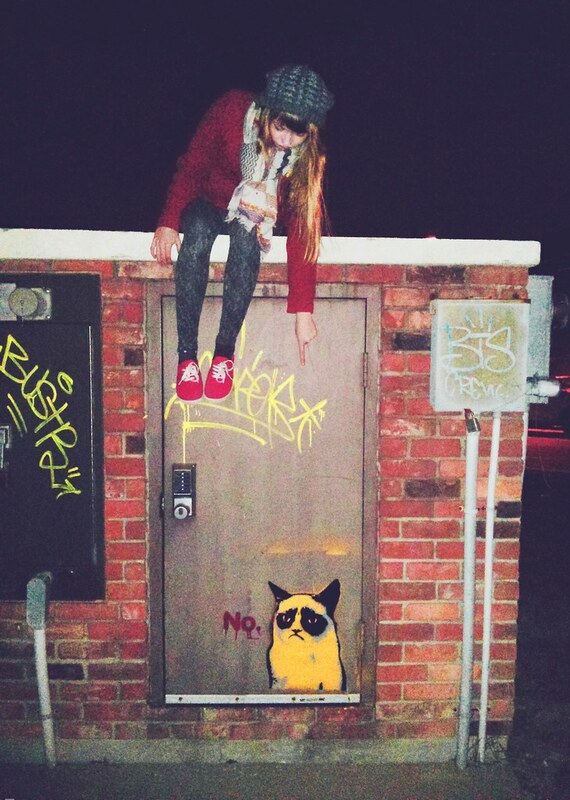 I love the Grumpy cat... and this blog! I am amazed by your work! ...that apple-- the leaves-- your photography! Please do tag all over the city! Hahah... I saw that going to Wal-Mart one day when I was back in town and I almost made Kyle stop to take a pic. As if it was you who did it! Lol Janine! That's awesome. :P I hope no one paints over it anytime soon!